Wagner premium E-Shield brake rotors are engineered for maximum performance and are an ideal pairing for Wagner brake pads. E-Shield rotors use a durable, protective electro-coating process on all non-braking surfaces, which prevents corrosion. 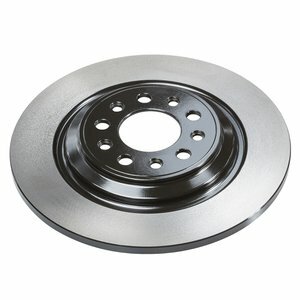 They have a unique, application-specific vane design for greater cooling capability and more effective stopping power. Wagner E-Shield rotors are enclosed in a Vapor Corrosion Inhibitor (VCI) bag, reducing prep and installation time. Part of the Federal-Mogul Motorparts Corporation family of products, Wagner is a manufacturing leader in the global brakes business. It has been an automotive parts trailblazer and design innovator for more than 125 years. With all-inclusive R and D testing and innovation, Wagner applies cutting-edge technology and engineering to drive premium brake product offerings for the latest automotive applications. With everything needed for a complete brake job, Wagner sets the standard for the industry.